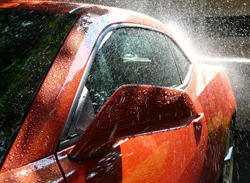 A well detailed vehicle should be gleaming. Keep your car looking it's best or bring an older vehicle back to a like new condition with our exterior detailing services. Leave our shop as one of the nicest looking cars on the road! View all our auto salon services here, including interior detailing and complete detailing packages. Find where our shop is located in Maplewood by clicking here.